The pace of this series is really picking up. This book takes place over the span of just a few days at the most. And new alliances have been formed and broken. First Dan and Amy are rescued by their Uncle Alistair Oh. Nellie their au pair is kidnapped by the Kabras siblings. Irina makes a few very brief appearances, and the Holts attempt to use brawn over brains one more time. This book is the fastest pace of the three so far, starting right at the end of One False Note and racing to a cliffhanger in book 4 Beyond the Grave. In this book we journey from Italy to Japan to Korea. The main historical figure we find out about is the Hiyoshimaru or Toyotomi Hideyoshi, and the mystery of his lost treasure. This book was a bit of a race, from places and events and on and on. It felt rushed compared to the previous two books in the series. It also raced along with less dialogue and less description, the scenes were not as vivid and the facts were often just revealed. In my opinion this is the weakest of the first three books. This series has fantastic potential, with the combination of 7 authors telling a unified story over 10 books. But this one falls short of what has gone before. We can only hope that book 4 returns to the intensity and power of story portrayed in the first two books The Maze of Bones and One False Note. We can also hope that Lerangis does a better job when his turn comes around again for book 7. The book does progress the overall story, and we do have a better idea of where the 39 clues are leading us, something to do with Alchemy. We also find out more of the history of the Cahills including the origin of this branch of the family dating back to the 1500's. The family dates back to Dublin and Gideon and Olivia Cahill. Gideon perished in a fire, a theme we are encountering again and again. We also find out a little more about Thomas and Kate, the founders of two of the modern branches of the Cahill clan. This book is good, just not great like the others in the series. Yet it definitely leaves one desiring book 4. Much as book 1, Maze of Bones, focused on the life and times of Benjamin Franklin, book 2, One False Note, focuses on Wolfgang Amadeus Mozart and his sister Nannerl. Continuing almost immediately after book one, the pace of this one is much quicker. Moving from Paris to Vienna, the Cahill kids, Dan, Amy and their chaperon are ambushed by the big burly Holt clan. Narrowly escaping them, the dangers from other family members only intensifies. With more bombs, boat crashes, and run-ins with everyone from their aunts, uncles and cousins to Benedictine monks, this book is one wild chase scene. The adventures in this book take our trio from Paris to Vienna then onto Salzburg then finally Venice. This book not only has a faster pace than book one, but also more dialogue. Some of that may be due to the writing style of the different authors, and some the point in the story arch and plot development. Gordon Korman does an excellent job continuing from the story started by Rick Riordan in Book 1.The transition is almost effortless. The feel is slightly different but the story continues to flow well. It is interesting reading a series of 10 books with seven different authors, in part because we do not know how much freedom each author has. Do they write their section and hand it off and the next author has to create from there, or is there an overarching story arc already sketched out and the authors are composing the different scenes as movements in a musical piece? Either way this book is excellent and like the first leaves the reader hungry for more. I cannot honestly remember the last time I read a series that was so addictive. I picked up the next book immediately and dread when I will have to await the next release. All in all an excellent book in what is shaping up to be a great series. This is an amazing story of a young girl learning to come to terms with her mother's death. Siobhan is like most little girls - she runs, and plays and has fun. But at ten she can no longer remember her mother's face; she is sad about this but cannot talk to her father, as he too is overcome with his grief. One day in the park she meets a strange lady, and the woman tells her to look in the mirror and she will see her mother there in her own face. This is a magnificent book. 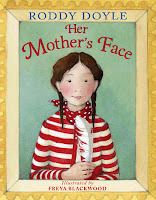 Books written for children that deal with grief are either very good or very bad. This one is very good. Roddy Doyle tells a great story, and in the tradition of great Irish writers, he is a master storyteller and this is truly a masterpiece. The illustrations by Freya Blackwood are done in a simple understated style. Yet they bring a great depth to the story. So pick it up and journey with Siobhan as she grows up and becomes a mother herself, yet always with the memory of her own mother. It is a good story to share with the children in your life, especially if they have lost someone close. This is the first book in an amazing new series. In it the Cahill's family matriarch passes away. In her will she leaves one million dollars to each family member, or they can trade that money-order for a clue that will lead to the treasure that will lead them to become the greatest Cahill of all time. There are four branches in the family: Janus, Ekaterina, Lucian and Thomas. Each branch has its own strengths and weaknesses. 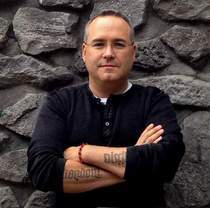 Our story follows Amy and Dan Cahill, orphans who choose to take the quest. The adventure crosses continents and has clues hidden in art, architecture, music and more. This series will be unique in a number of ways. First, even though there will be 10 books in the series telling a continuous story, it will be told by seven different authors. Second, the website linked to the games has specific puzzles and games to play linked to each book. These games and puzzles are available only for a certain period of time. Third, each book comes with 6 clue cards; these cards unlock different things on the website. There are also supplemental card packs that can be purchased to supplement your clues. Scholastic is also giving away over $100,000 dollars to youth who solve the puzzles. The story begins with Grace Cahill changing her will and dying. Then at her funeral the challenge is set to discover the 39 clues. After that things get interesting, with Grace's mansion burning down, family members threatening each other, bombs - and that is just the beginning of the adventure. They will travel across continents, through catacombs, museums and much more. Dan and Amy are at a distinct disadvantage, for unlike the rest of their relatives, they are not rich, famous, or experienced. Yet they were also Grace's favorites and she may have been grooming them for just such a challenge. Yet you have to read to find out. This is a great book and a wonderful beginning of a new series. It is better than the Da Vinci Code, and will be a great read for people of all ages. It has great adventure, interesting scenes, places and puzzles. It is an absolute page- turner. I cannot wait to see what will happen next. That's why she's making six figures workin' three days a week". 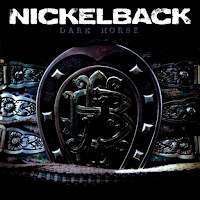 But for personal enjoyment it is my favorite rock or metal album to be released in the last few years. Pick it up for simple pleasure to the ears and lyrics that raise a lot of interesting questions about our society. This is the third book in an alternate reality created by world-renowned Kenneth Oppel. In this book, the airplane has not been developed but flying machines, gliders, blimps and balloons are the mode of air transportation. The first two books Airborn and Skybreaker have won almost every Canadian children's literary award. Combined they have won: Governor General's Award, Ruth and Sylvia Schwartz Award (twice), Red Maple Award (twice), Michael L Printz Honor Book (ALA). They have won 26 awards and been nominated for another 7. The interesting thing is, this was the first book in this series to come across my desk and was read as an independent story. It stands strong on its own and left me wanting to read the first two. This story is part of the saga of Matt Cruse and Kate de Vries, two young people in love and pursuing higher education to realize their dreams - Matt of becoming a captain on an airship and Kate of becoming a world-class scientist and researcher, especially zoology in the stratosphere. It is also the story of the race to space. The French are trying to build a tower into space, and Matt and Kate are called home to Canada, to be part of Canada's attempt. Kate is outright invited to be a scientist on the Mission. Matt must go through a grueling training regime and compete with over a hundred people hoping to be an astronaut aboard the Canadian ship Starclimber. Matt is a skilled Skysailor but can he compete with so many older and more experienced men? The story is part science fiction, part romance, and part social commentary. Oppel does an excellent job of weaving the different elements into a cohesive tale that is compelling and addicting. You reach a point in the book where you do not want to put it down. The greatest strength of the story is the incredible characters that seem so real, and the powerful narrative technique used by Oppel that makes you feel like you are there and part of the action. The story has a great pace that picks up speed as it moves along and finishes like a runaway train dragging us along with it, racing to the end. This is a great novel and like the others in the series will probably win numerous awards. 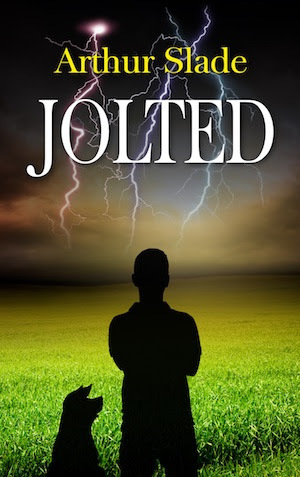 Arthur Slade is an award winning author. His honours include: Governor General's Award, Mr. Christie's Book Award, Saskatchewan Book Award, and Red Maple Honour Book. This book is both shocking and electrifying in its tale and the mastery in telling it. Our hero is more than a little unusual for he is Newton Stalker. He is the second last surviving Stalker, for his whole family has been decimated by lightning strikes. Having recently lost his mother, he moves to the Jerry Potts Academy of Higher Learning and Survival in Moose Jaw. It is a school far more entertaining than Hogwarts. The school's motto is: 'Survival Through Fierce Intelligence'. 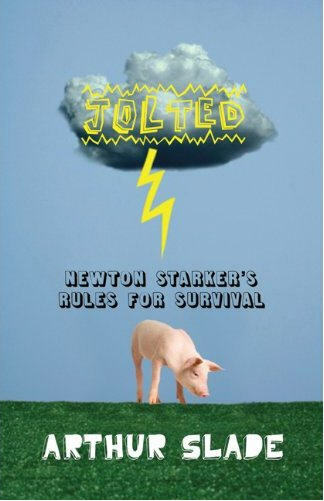 The board considered all factors in allowing Newton to attend and even upgraded all of the buildings' lightning rod protection.The cast of characters is zany and fun - from Newton's only surviving Stalker relative, his Great Grandmother Enid who is 102 and lives in a retirement home in Moose Jaw, to Newton's first friend Jacob Edward Clarke, an aspiring author, to his antagonist Violet Quon, a daughter of a Mountie with some pugilistic skills, to the unique headmaster, a giant of a man, who is always in a kilt and lumberjack shirt, Mr. McBain. This book deals with issues like death and grieving. It also deals with the story of coming of age, and finding your place in the world. The book is like a cross between Edgar Allen Poe, Rudyard Kipling and C.S. Lewis. It is wonderfully-written, greatly entertaining and I could not put it down. Slade presents unique characters in unusual situations and does so in a way that draws the reader in and causes us to cheer for them as the story progresses. Arthur Slade is one of my favorite authors writing for youth today, I rank him up there with Kenneth Oppel, Patrick Carman and Laurie Halse Anderson. The only thing I regret is how short the book was, and how many things it leaves unanswered. I can only hope we see more books set at the Jerry Potts Academy, and we meet Newton Stalker again. Join Elliot and his friends in the wonderful world of Elliot's Park, based on Pioneer Park in Walla Walla, Washington. In this book, the third in the series, Elliot and his friends are hosting the Walnut Cup, the Squirrel world cup of soccer. These tales were originally created by Patrick for his daughter while they visited the real park. There is a great cast of characters including Chip the larger-than-average squirrel with a chipped front tooth. You will also meet Crash, the only flying squirrel in the park, Elliot the book worm with glasses who loves collared shirts, wide ties and solving problems, and many, many others. Even Mister Nibbles from the first book, Saving Mister Nibbles, makes an appearance, along with soccer teams from Brazil, Germany, Sweden, Italy, France, Japan and Spain. This is a great story about making mistakes, and then learning from them and helping to fix them. Pistachio is a nut addict and a bit of a nut, and even though a perfectly round walnut is needed for the teams to play, he cannot help himself from taking the game nut and trying to eat it. Crash swoops in from the skies and knocks him over, and the game nut goes into the pond. Pistachio knows he has made a mistake, and it is affecting not only himself but also others. He attempts to recover the nut even though it means jousting with a giant mean swan. That's when the adventures really begin. This is a great book for the whole family. o Chip's Super-Helpful Soccer Tips! o Show Your Colors! Soccer Ball Decoration to Support Your Team. The book concludes with a preview chapter of the next book, A Windy Tale. Pick up this book either for the young soccer fans in your life or just as a fun story to share. Having a dual form of dyslexia I did not learn to read until later in life. Thus I never read children's books while a child. Maybe that is why I read so many still today. I read this as part of a children's literature course in university. It is an interesting book, about friendship, commitment, compassion, change and death. As such it deals with a lot of the big questions of life in ways a child can grasp. For me the most moving part was when Wilber confessed to Charlotte that he did not like the thought of her as a blood sucker, towards the end of her life. Only true friends can be that open and honest. The book is a powerful tale of true friendship and how our close friends can transform not only us but those around us. Claudia Chandler is a primary educator with a Masters Degree. This book is written to both be fun and to educate. It has bright vivid illustrations and a unique story. 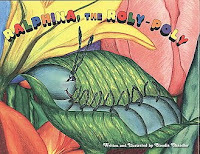 It is the story of a Roly-Poly bug in the garden that is lonely and wants to befriend the boy who lives in the house. It is the story of friendship and the story of learning to understand people and things that are different from us. It is a great little story with fantastic artwork. Craig Zacker is a fantastic technical writer. He presents his materials in a clear, concise and straightforward manner. He wrote two different text books for this course, this one and also the MOAC Textbook. I actually used both to prepare for this exam. I left my program at school early to take a job. This is the second course that I have completed in self-study. Zacker's books were a great asset. This book goes into much greater depth and has more exercises than the other book by Zacker for the same exam. This book is intended for use if you're already in IT and are preparing for the exam. One of the great advantages of this series is that the self study method is much cheaper and you can work at your own pace. Zacker is an excellent writer and a clear communicator. His books are always a pleasure to read and a joy to use. Craig Zacker is a fantastic technical writer. He presents his materials in a clear, concise and straightforward manner. 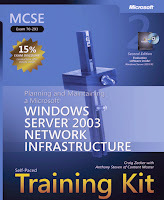 He wrote two different text books for this course, this one and also the Self-Paced Training Kit. I actually used both to prepare for this exam. I left my program at school early to take a job. This is the second course that I have completed in self-study. Zacker's books were a great asset. This book is designed to be used in a Microsoft Approved Academy and is an official MOAC textbook. It is designed for use in a classroom setting. The program I did at school was modular and basically was a chapter a day, with review and exam at the end of the course. This book with its shorter chapters and being direct to the point is great for that environment. On its own it needed a little beefing up and I turned to his other text for extra exercises. The student CD includes a lot of resources to help you prepare for the exam, practice test software, and a pdf of the textbook. I find the pdf's a great resource because I can keep my whole IT library with me at all times for quick reference and when searching for something you remember, but do not recall the specifics. Zacker's books are always a pleasure to read. His style is both engaging and challenging. 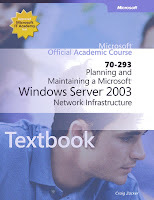 This book was definitely an asset in my developing IT knowledge and in preparing for the exam. The problem with most health and fitness information is that everybody has a different opinion, and far too often none of the ones you look at seem to match up. The advantage of this new book is that it goes back to basics. It has a focus on six basic moves that will help to optimize for maximum muscle. The focus is for both beginners and for elite lifters. Schuler and Cosgrove write with a very fluid and engaging style. Their writing not only makes you want to keep reading but to try to implement their ideas. They go through a series of techniques, exercises, programs, nutrition and life. In the end they remind us that lifting is not life, and that we need to have a balanced life. The six core exercises they focus on are: Squat, Deadlift, Lunge, Push, Pull, Twist and Combo moves. They use these core exercises to build the core of your strength and of your routines. For each of the exercises they have a range of variations. Lou and Alwyn have written a great fitness book. The writing is excellent, the research impeccable. The book also contains an extensive section of notes, and a great index to go back and search for something you read months ago when it comes time to make a change. This book is easy to read, easy to understand and if you're motivated, trouble-free to implement. 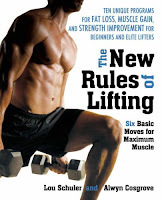 So if you are looking to start working out, or have been for years and need to change things up, check out this book. It has tools to help you here while at university and for the rest of your life.